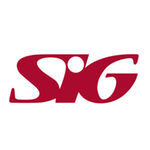 SIG operates from trading sites across the UK and Ireland and Mainland Europe and employs just over 9,000 people. The Group’s main countries of operation are the UK, France and Germany, which together account for 88% of its continuing revenue. SIG was looking to increase the efficiency of its sales team and enlisted CloudApps to help achieve this goal with its CRM health monitoring and behavioural motivation tool, SuMo Motivate. SIG aimed to boost its team’s sales effectiveness by reducing miscommunication, removing duplication of effort and eliminating wasted selling time. At the same time, SuMo was tasked with ramping project based activity, driving customer innovation and accelerating sales through the pipeline for SIG’s 1000 strong sales representatives and managers. Prior to the launch of SuMo Motivate to the SIG team at their annual Sales Conference, SuMo spent a brief time in baseline mode, quietly monitoring key metrics for the business, providing some insight from which to measure the impact SuMo was to have on the users. Thanks to this insight, we can already start to see the benefits achieved from deploying SuMo, including an increase of adoption of Salesforce that has led to an acceleration of sales opportunities. Collaboration throughout the business stream has been encouraged, inspiring sales teams to share valuable intelligence on key projects and thus delivering better solutions to the customer, setting SIG apart from its competition. The gamified aspect of SuMo Motivate has also offered a healthy competitive edge to the users, who are eager to make their mark on the new sales process. 60% increase in new Opportunity – delivering clearer visibility of the pipeline and improved forecasting accuracy. 4% increase in the “Closed Won” Conversion Rate – an increase in activity is helping drive up the closure rate. 19% increase in Opportunity Activity – engaged Sales Representatives are keeping records up-to-date, which is driving a positive impact on the conversion rate. 50% decrease in Completed Activities closure time – more activities are being closed faster, resulting in driving pipeline growth and opportunity closure.